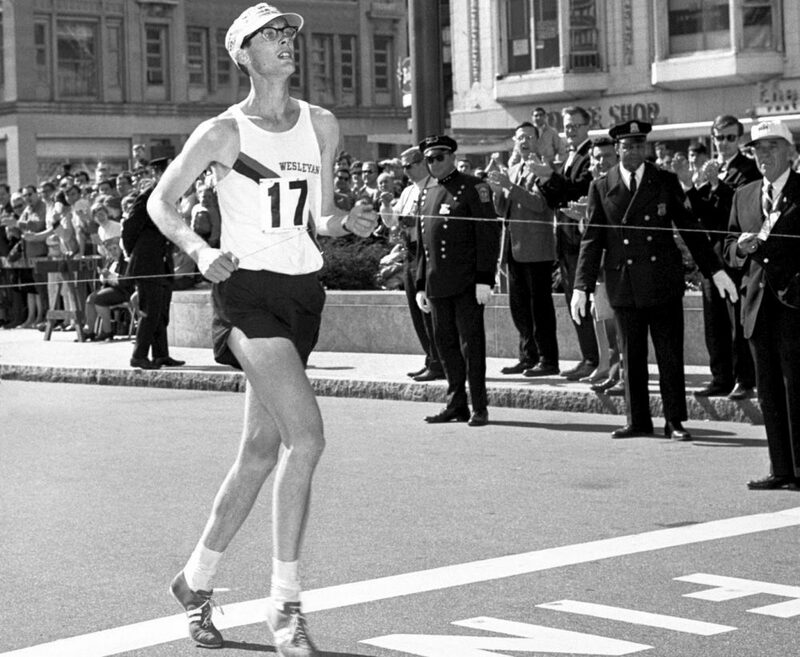 Fifty years ago, when I won the Boston Marathon, I ran fast and greedily. I wanted to steal every possible second and race my personal best. We all did. Our times and finish positions in Boston represented our rank among top American marathoners. When I run Boston again on Monday, I won’t be thinking about fast times. Instead I’ll run on gratitude: that works a lot better for a 71-year-old who has seen it all. My attitude evolved over many years at Boston, reaching a new depth in 2013 and beyond. Strangely enough, it began with a brief fit of anger. I was among the 5,000 runners stopped at the 25-mile mark in 2013. We saw nothing, heard nothing, and received no information from the police who halted us. They simply told us we couldn’t go on. This didn’t sit well. After completing 25 miles, you know you can manage one more, and you damn well want the opportunity. I was particularly frustrated. It was the 45th anniversary of 1968, and I was the oldest returning champion. I felt — dare I say it? — a bit of pride. And then confusion and disappointment that my special day was interrupted. It was a 30 minute walk to my hotel before I learned the awful truth. I stared at a TV screen in the lobby, speechless, feeling small and petty for my hubris. There is no place on Earth I’d rather be than the wide, welcoming expanse of the Boston Marathon finish line. After winning the race in 1968, I pledged to run the Boston Marathon at least once every five years. Since 2013, I’ve run all four. The miraculous “comeback” marathon of 2014 was, without a doubt, the most spectacular, emotion-filled footrace I've ever participated in. Boston’s knowledgeable marathon fans turned out in record numbers, celebrating us louder than ever. We runners, in return, applauded the roadside families for their decades of unstinting support. I’m a ‘60s guy, so trust me — this was nothing less than a lovefest. The last four years, I’ve run for Team MR8, as I will again this year. 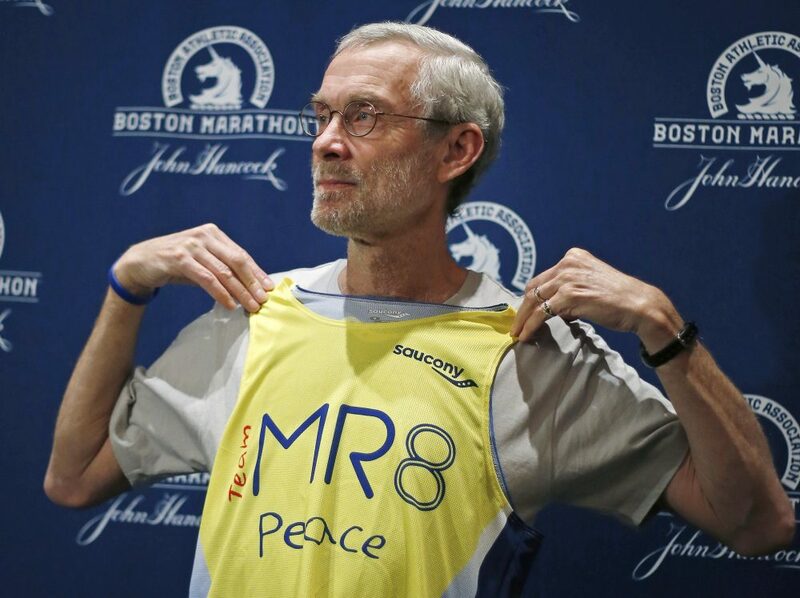 We are the marathon men and women who honor the memory of Martin Richard, who was the youngest victim of the bombings in 2013 (“8” was his favorite number). The haunting photo of the toothy 8-year-old Martin and his crude “Peace. No More Hurting People” poster inspired me from the first moment I saw it. Mostly I steer toward 7- and 8-year-olds with outstretched palms. I figure it’s never too soon to cultivate the next generation. They’re merely hoping for a “slap me five,” and are often surprised when I slip a card into their hand. Still, after every recent Boston, I’ve received several photos of youngsters proudly displaying their thank-you cards. Whenever I spot a wheelchair-bound 80-year-old, I head that way, too. No one deserves more reward than those who have been faithful through the decades, possibly even a half-century. Who knows? Maybe this individual saw me sweep past in 1968? There’s no hurry anymore. I take a moment to glance upward and offer a whispered prayer. I now consider the final 600 yards on Boylston Street a hallowed place, where time is so precious I’d like to squeeze it to a standstill. When I reach the point of the second bomb explosion, I stop running, and begin walking. There’s no hurry anymore. I take a moment to glance upward and offer a whispered prayer. For a half block, I walk backwards, applauding the thick knots of runners streaming toward me. The runners sport huge smiles, their eyes focused on the big blue and yellow banner beside the Boston Public Library. By that point, I’m getting close to the end myself, but I feel no urgency. Mere yards from the finish, at the point where the first bomb exploded, I turn left to remember Martin Richard. How I wish that he could still be standing on that sidewalk, all beaming face and “Peace” message. He would’ve been 13 this year. I can only continue walking and thinking about my great, good fortune. There is no place on Earth I’d rather be than the wide, welcoming expanse of the Boston Marathon finish line. If they’d allow it, I would stay out there all afternoon. Amby Burfoot is the editor at large for Runner's World. 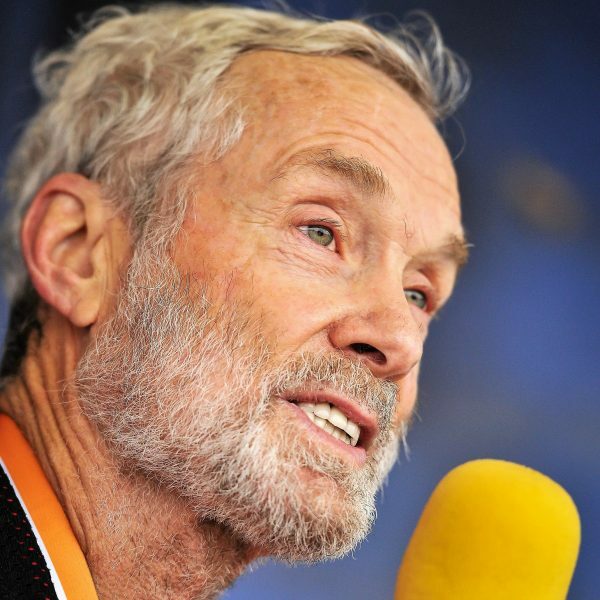 He is a member of the Running Hall of Fame and winner of the 1968 Boston Marathon.